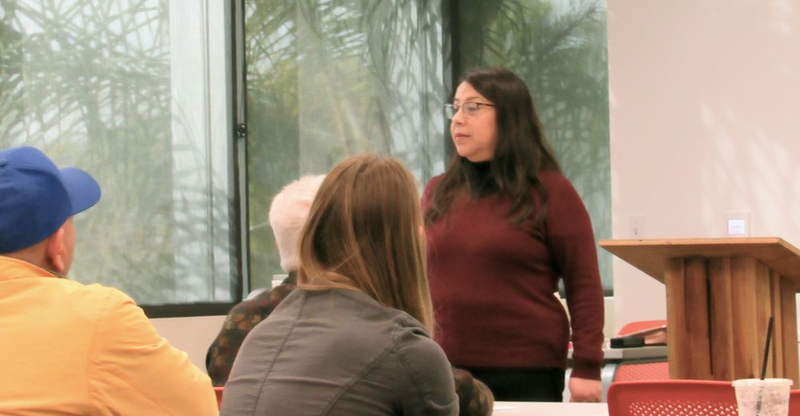 Rancho Mesa Kicks Off the Year With First Workshop — Rancho Mesa Insurance Services, Inc.
Area Manager of the Cal/OSHA Consultation Services Branch, Carmen H. Cisneros, delivered an informative presentation on the various services Cal/OSHA provides for companies. Instead of employers dreading Cal/OSHA visits, her goal is to educate business leaders and have them work side-by-side with Cal/OSHA to create a better workplace safety environment. She covered topics such as, onsite assistance, partnership programs, top 10 Cal/OSHA citations, and resources that OSHA provides. Attendees came away with a better understanding of the various ways they can utilize Cal/OSHA for the benefit of their company’s safety. Carmen suggests scheduling an onsite consultation with Cal/OSHA so a company can correct any problems, rather than have a hazard detected during inspection; resulting in fines. If you missed this workshop and want to learn more about the services available, contact CAL/OSHA at (619) 767-2060 to set up a one-on-one meeting with Area Manager of the Cal/OSHA Consultation Services Branch, Carmen H. Cisneros. If you are outside of the San Diego area, click here to find the Cal/OSHA Consultation area office closest to you. Contact Alyssa Burley at (619) 438-6869 for more information about upcoming workshops. Click here for a helpful article written by Rancho Mesa’s Vice President of the Construction Group, Sam Clayton, outlining key steps to take before, during, and after an OSHA visit.